Arlo is a smart, modern take on video security. 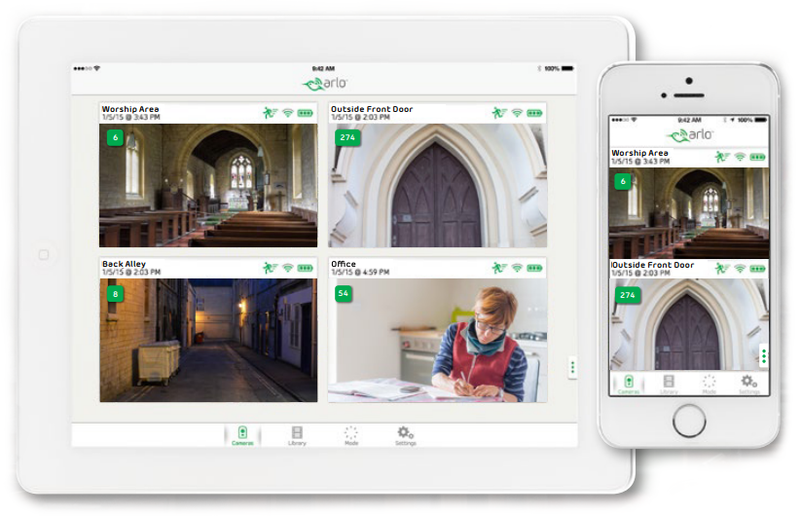 Arlo provides a complete system of HD cameras, secure cloud storage and intuitive mobile apps to deliver a seamless experience for monitoring what matters most - your house of worship. Recordings are securely sent to the cloud for storage and easy access from your mobile device. From the entrance to the pews you’ll have eyes everywhere, even when you aren’t. Know anytime someone goes where they shouldn't be - day or night. There is a rise in vandalism against all denomintations. Protect your property and have the evidence to prosecute if an event occurs. Ensure a safe environment during every gathering. From the dumpster in the alley to your safe in the office, night vision on Arlo cameras makes monitoring difficult spots a snap. Use the Arlo app to check on things anytime after-hours without leaving the comfort of your couch. Arlo understands your challenges. You may not have an IT team and certainly don't have big budgets, but that doesn’t mean you can’t protect your congregation. 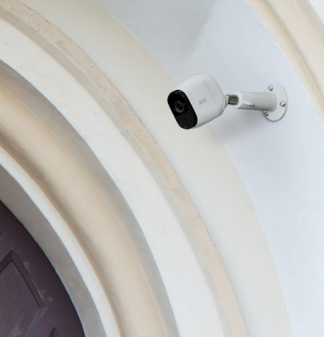 Arlo makes it easy and affordable to keep your house of worship secured around the clock. Easy to install, small equipment size, no back room to maintain. Arlo Smart analytics identify people, cars, animals and swaying trees, allowing Arlo cameras to record and alert only those events that matter. Easily move cameras to new locations based on your needs, with our innovative mounts. No DVRs or tapes to maintain or risk damaging. Recordings are instantly stored in the cloud, so you have the evidence you need. More affordable than traditional security systems. 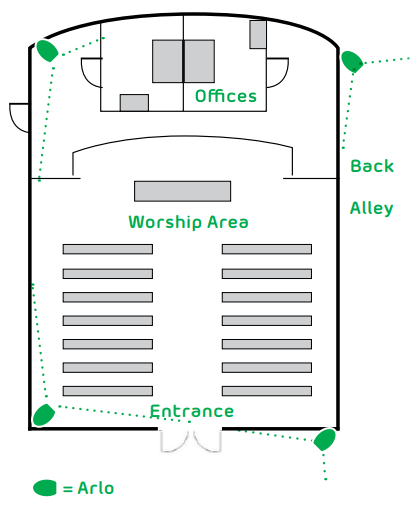 Download the Arlo For House of Worship Datasheet (PDF).